Great news! 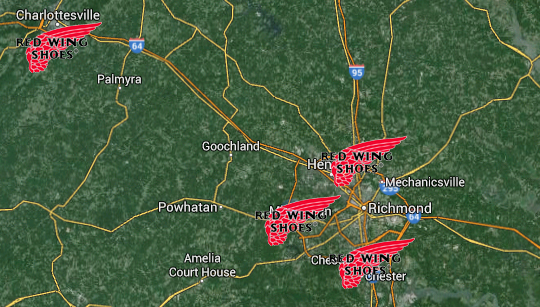 Red Wing Shoes has expanded west! For far too long the hard workers of Charlottesville had to either suffer lesser work boots or drive to Richmond to get a quality pair. This location proudly services the Charlottesville area! We encourage you to visit their website www.redwingcharlottesville.com for additional info! Guarantee comfort – even on concrete! Not only are we excited to serve more people at our retail location in Charlottesville, but we are excited to be able to provide mobile service to more industrial customers out of our Charlottesville location! One: You contact us! We’ll discuss your needs, specific boots or requirements you’re looking for, the type of business you run, etc. Step Two: We setup a time to stop in to your location. Step Four: Your team enjoys the comfort, protection and durability of our legendary Red Wing boots. 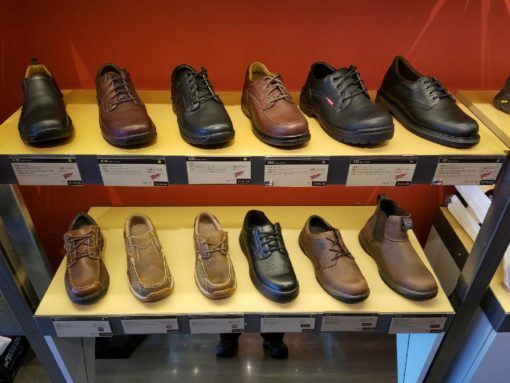 We already work with a large number of industrial clients in Lynchburg, Charlottesville, Harrisonburg and beyond, but now we’ll have a central “hub” in Charlottesville for industrial shoe sales (which will make things easier on our end and ultimately better for you!). David Hammock: (434) 426-0544 or email David here. Rick Perrin: (804) 938-5131 or email Rick here. 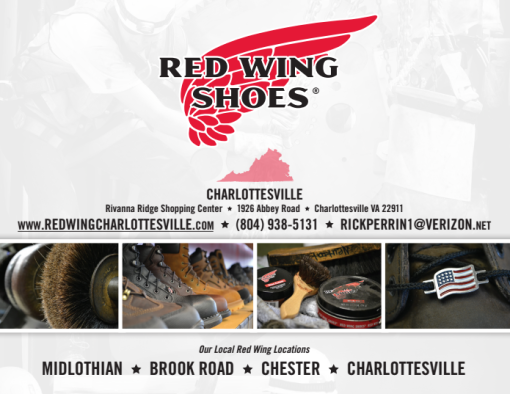 If you have questions about Red Wing Charlottesville, contact us online! If you need to get in touch with any of the Richmond Area locations, get the closest location’s phone number or contact us online!